I hope y’all had a fantastic Mother’s Day! And I REALLY hope that Mother’s Day significantly improves your attitude and treatment of your own mama. That lady deserves the utmost respect and love on a constant basis. She also deserves breakfast in bed and a sentimental gift on occasion. You could say I won the mommy lottery. Mama Tingey and I are both very highly-opinionated, tenacious German women, and as consequence, we haven’t always had the strongest relationship. But now that I’m getting older, I’m starting to realize that if we join powers, we could become quite the force to be reckoned with. 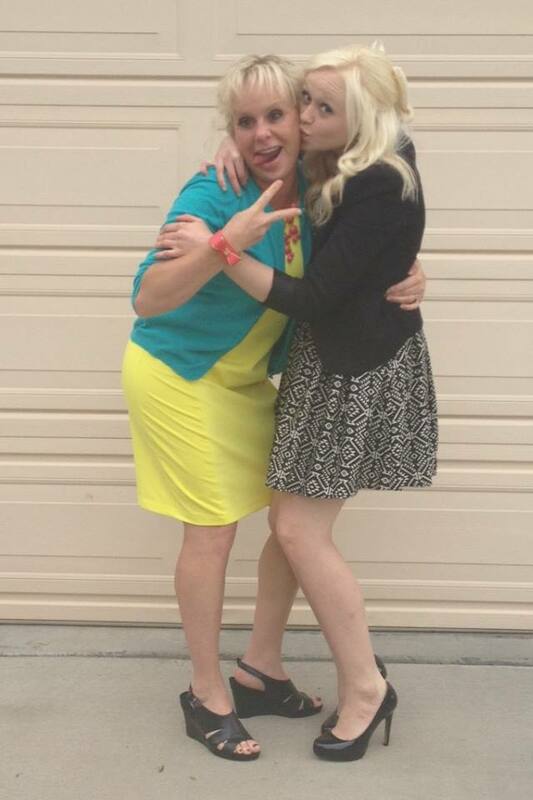 Whether we’re getting along or not, my mom will always be my best friend. According to the last MA$H I played during church in ’07, I am going to have 27 kids and marry Aaron Carter. But real life, unfortunately, isn’t MA$H, so I will be having two children, and will probably marry a very non-famous young man, perhaps an accountant named Steve. Once I have birthed my two children (preferrably a boy named Boston and then a daughter named Saylor), I am determined to be one kick-A mama, granted that the inhabitants of earth are still human and not some sci-fi, high-tech cybourg race. Parenting will only get harder, given the rate at which technology advances and the culture and societal views as a whole continue to get more and more sucky, but I will not let that discorage me from bringing up my children to become kick-A adults themselves. First of all, this whole gender-role thing is going out the window from day 1 of Boston and Saylor’s lives. If Boston prefers to feed a cabbage patch doll with a plastic bottle, he shall be given multiple bottles and a stroller for his doll. If Saylor finds toy trucks and race cars more fascinating than a play kitchen, she will have a Hot Wheels birthday party at the Go-Kart track. But, if they naturally gravitate to their respective gender-role based toys, that’s a thousand percent fine with me, too. Whatever draws in their interest and creativity most. My kiddos will not be naive, but they will not be cynical, either. They will know of the dangers that lurk within the world they live in, but they will also be taught to see the good in others, and how to successfully veer out of trouble’s wake. I’m going to be the best friend and the worst enemy. Hard work and respectable behavior will be heavily rewarded, and shortcomings will be punished. Attitude will not be tolerated. Body image issues will not even be a possiblity, because my children will be primarily praised for their non-physical, positive character traits, rather than their physical ones, and as consequence, they will learn that a person’s value is not measured by physical appearence. Bottom line is, i’m going to raise my kids to be happy, independent, educated, non-ignorant individuals who know that they have the potential to become anything they desire. I am not going to be perfect, but you can bet your bottom dollar i’m going to burn myself out trying, just like my own mom. Here’s to the moms of the world. Y’all are incredible, and we need you more than you could possibly know.